Disability insurance carriers often dispute ataxia as a disabling condition. How Can Disability Insurance Attorneys Dell & Schaefer Assist You? As disability attorneys, Dell & Schaefer have represented numerous long term disability claimants that have been unable to work as a result of ataxia. Disability Attorneys Dell & Schaefer have an expansive understanding of the significant restrictions and limitations that a person suffering with chronic ataxia must live with on a daily basis. We have worked closely with top physicians in order to sufficiently satisfy a disability carrier’s threshold of evidence necessary to prove that a client is disabled by suffering chronic ataxia. Not everyone suffering from suffering ataxia qualifies for long-term disability benefits, therefore the medical records of each client must be reviewed to determine the level of restrictions. We welcome the opportunity to discuss your long-term disability claim. You can contact us for a free initial consultation. Ataxia describes a lack of muscle coordination during voluntary movements, such as walking, your speech, your eye movements and your ability to swallow. Persistent ataxia usually results from damage to your cerebellum, which is the part of your brain that controls muscle coordination. Many conditions may cause ataxia, including alcohol abuse, stroke, tumor, cerebral palsy and multiple sclerosis. It’s also possible to inherit a defective gene that may cause one of many ataxia variants. 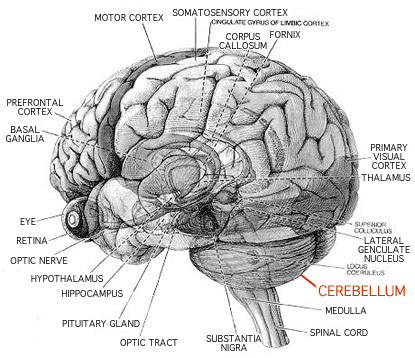 The part of your brain that controls muscle coordination is called your cerebellum. When nerve cells in the cerebellum are lost or damaged or degenerate, they provide less control to muscles, resulting in loss of coordination or ataxia. 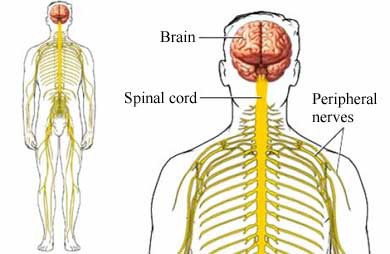 Diseases that damage the spinal cord and peripheral nerves that connect your cerebellum to your muscles also may cause ataxia. Ataxia causes include head trauma, stroke, transient ischemic attack (TIA), cerebral palsy, multiple sclerosis, chickenpox, paraneoplastic syndromes (an abnormal immune system response to a cancerous tumor), tumor and toxic reaction. There are two main types of ataxia: hereditary ataxia, where the symptoms develop slowly over many years and are caused by underlying problems with the genes, and acute ataxia, where the symptoms develop suddenly due to a related trauma, injury, or health condition, such as a stroke. Acute ataxia can be a relatively common complication of conditions such as stroke, encephalitis (infection of the brain), and multiple sclerosis. Hereditary ataxia is rare. For example, Friedreich’s ataxia, which is the most common type of hereditary ataxia, is estimated to develop in 1-2 people out of 50,000. Autosomal recessive ataxias (ARCA) are neurological disorders characterized by degeneration or abnormal development of cerebellum and spinal cord, autosomal recessive inheritance and, in most cases, early onset occurring before the age of 20. Friedreich’s ataxia. This neurological disorder involves damage to your cerebellum, spinal cord and peripheral nerves. In most cases, signs and symptoms appear between the ages of 5 and 15, but may occur as early as 18 months or as late as 30 years of age. The rate of disease progression varies. If you have Friedreich’s ataxia, you’re likely to rely on a wheelchair within 15 years of the appearance of symptoms, and your life span may be affected if the disorder includes significant heart disease. The first indication generally is difficulty walking (gait ataxia). The condition typically progresses to the arms and trunk. Muscles weaken and waste away over time, causing deformities, particularly in your feet, lower legs and hands. Other signs and symptoms that may develop as the disease progresses include slow, slurred speech (dysarthria); fatigue; rapid, involuntary eye movements (nystagmus); spinal curvature (scoliosis); and heart disease, including heart enlargement (cardiomyopathy) and heart failure. Wilson’s disease. People with this condition accumulate copper in their brains, livers and other organs, which can cause neurological problems, including ataxia. Spinocerebellar ataxias. Researchers have labeled 28 autosomal dominant ataxia genes with the designation SCA1 through SCA28, generally numbered according to their order of discovery, and the number continues to grow. Cerebellar ataxia and cerebellar degeneration are common to all types, but other signs and symptoms, as well as age of onset, differ depending on the specific gene mutation. Episodic ataxia. There are six recognized types of ataxia that are episodic rather than progressive, EA1 through EA6. All but the first two are rare. EA1 involves brief ataxic episodes that may last seconds or minutes, are triggered by stress, being startled or sudden movement, and often are associated with muscle twitching. EA2 involves longer episodes, usually lasting from 30 minutes to six hours, that also are triggered by stress. If you have this type of ataxia, you also may experience dizziness (vertigo), fatigue and muscle weakness during your episodes. In some cases of episodic ataxia, symptoms resolve in later life. Episodic ataxia doesn’t shorten life span, and symptoms may respond to medication, such as acetazolamide (Diamox), which also is used to treat seizures, or the anticonvulsant phenytoin (Dilantin). Ataxia can develop over time or come on suddenly, depending on the cause. Ataxia causes poor coordination, but other signs and symptoms vary depending on the type of ataxia as detailed above. There’s no specific treatment for ataxia. In some cases, treating the underlying cause resolves the ataxia. In other cases, such as ataxia that results from chickenpox or other viral infection, it’s likely to resolve on its own over time. Your doctor may recommend adaptive devices or therapies to help with your ataxia such as a cane, walker, modified utensils for eating and communication aids for speaking. You may also benefit from certain therapies, including physical therapy for strength and mobility, occupational therapy to help with daily tasks and speech therapy. I have the ability to sign up for a company sponsored Disability Insurance program. I have been diagnosed with SCA3 Hereditary Ataxia, will my illness be covered by the Disability Insurance? Do Disability Insurances normally cover Ataxia’s. 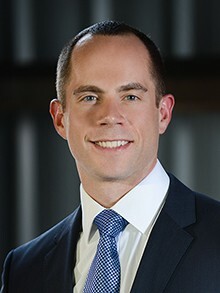 Jerry, under most disability insurance policies your condition would be considered a pre-existing condition that would require you to be covered under the policy for a period of time (usually 12 months for LTD) before the pre-existing condition would be waived. We have published 1 articles about Ataxia.